Modifier 62 is appended to surgical claims to report the need for the skills of two surgeons (co-surgeons) to perform a procedure, with each surgeon performing a distinct part of the same procedure, during the same surgical session. An easy way to explain this is to visualize a patient requiring cervical fusion where the cage used to fuse the cervical vertebrae together needs to be applied to the anterior cervical spine. This requires an anterior approach through the neck, passing through delicate vessels, nerves, and tissues to reach the cervical spine to place the device. The surgical approach through the neck may require the expertise of an otolaryngologist (ENT) surgeon, while the cervical fusion itself would require the expertise of an orthopedic surgeon. Co-surgeons are required to document their individual performance of the surgical procedure in separate operative reports. One surgeon should not document the entire procedure to then be used by both surgeons but rather the payer wants to see each surgeon documenting their individual role in the surgery, separately. Each surgeon then reports the same surgical procedure code and appends modifier 62 to identify they were a co-surgeon in that particular procedure. The payer has the option to review both operative reports to verify they support the work of co-surgeons prior to payment (or in an audit any time following payment), so documentation should always be carefully reviewed. Reimbursement is done at a reduced rate of the fee schedule rather than a 50/50 split. For example, Medicare Administrative Contractor (MAC) Noridian pays 62.5% of the Medicare allowed amount for each surgeon (which may differ based on individual payer contracts). The ENT would document the patient name, date, co-surgeon names, preoperative and postoperative diagnoses, procedure performed, anesthesia, patient consent, surgical preparation, verification, and indications for the surgery followed by the details of the portion of the procedure performed, and complete the details of his performance by including documentation of a timeout to turn the case over to the co-surgeon (Dr. Whoever) to complete the remainder of the procedure. Dr. Whoever (in this case the orthopedic surgeon), would dictate an operative report including the same header information (patient name, date, co-surgeon names, preoperative and postoperative diagnoses, procedure performed, anesthesia and indications of the surgery) and then would begin documenting the details of the procedure at the point where the ENT turned the patient over to him. The details wouldn’t include what the ENT did (other than a brief summary) but rather the details of the procedure performed by the orthopedic surgeon, followed by closing, findings, blood loss, specimens collected, waking the patient from anesthesia, and the patient's transport to recovery. Both operative reports should clearly identify the names of each co-surgeon. Each provider adds modifier 62 to the surgical procedure and bills for the surgery individually (if only one surgeon bills with modifier 62, only they will be paid). Before appending modifier 62 to the surgical service(s) to be billed, and more importantly, before performing a surgery requiring two surgeons, the code for the procedure should be analyzed to determine whether it qualifies for co-surgeon reimbursement. CMS publishes the Medicare Physician Fee Schedule (MPFS) Indicator Descriptors which include the Co-Surgeon (Modifier 62) indicators, identifying code that is co-surgeon (modifier 62) eligible. 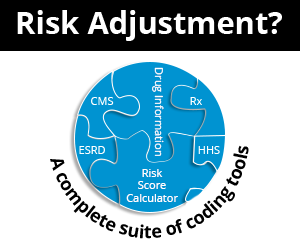 One of the great benefits to Find-A-Code subscribers is that these codes and indicators have been linked together and are easily identified simply by searching the CPT code, looking at the tab "Additional code information," Co-surgeons (62), and verifying the MPFS indicator linked to it. 1 - Co-surgeons could be paid. Supporting documentation is required to establish medical necessity of two surgeons for the procedure. 2 - Co-surgeons permitted. No documentation is required if two specialty requirements are met. If additional surgical procedures were performed during the same operative session but did not require the skill of a co-surgeon, they would not be reported by the co-surgeon. The payer may request a copy of each operative report to verify the work of each surgeon prior to payment so it is important to carefully review the operative report to verify co-surgeon work was indeed performed and properly documented to support the claim. Can the co-surgeon also bill as an assistant surgeon for other procedures performed during the same operative session? The answer is yes, if the documentation and MPFS indicators support it. There are times when a surgeon may have planned to perform several procedures on the same patient, during the same surgical session with only one of them requiring the skills of a co-surgeon and the rest requiring those of an assistant surgeon. This means the role of the co-surgeon would change to an assistant surgeon for the remaining procedures, as long as they, too, qualify for an assistant surgeon according to the MPFS indicators for an assistant surgeon (Modifier 80) and the details of the operative report support an assistant surgeon. The co-surgeon who then acted as an assistant surgeon for the remaining procedures would bill append the appropriate assistant surgeon modifier (80, 81, or 82) to the surgical procedures where he acted as the assistant only in addition to modifier 62 being added to the procedure where he acted as a co-surgeon. Appropriate supporting documentation for an assistant surgeon includes their name added to the operative report documented by the primary surgeon and, somewhere in the details of the report, the work the assistant performed to assist the primary surgeon.